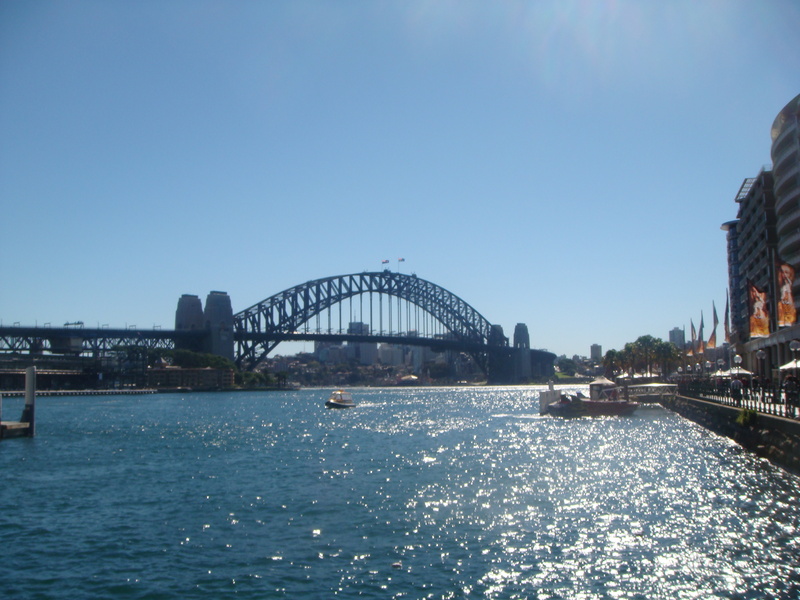 This time around, I got to explore the sweet spots of Sydney. 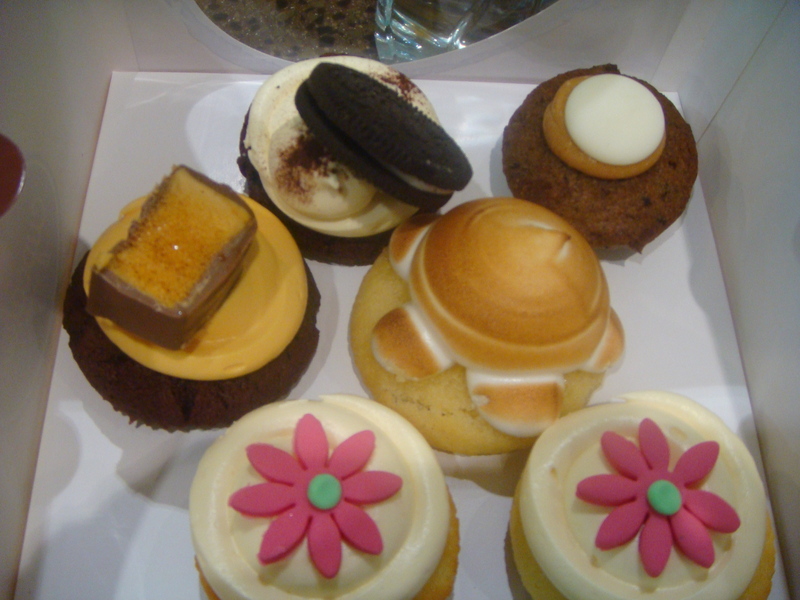 The first stop was Cupcakes on Pitt. Since the cupcake craze hit, you can see this store all over the city. I went to the original store on Pitt Street, and frankly, I would’ve missed it if my friend wasn’t showing me the way. 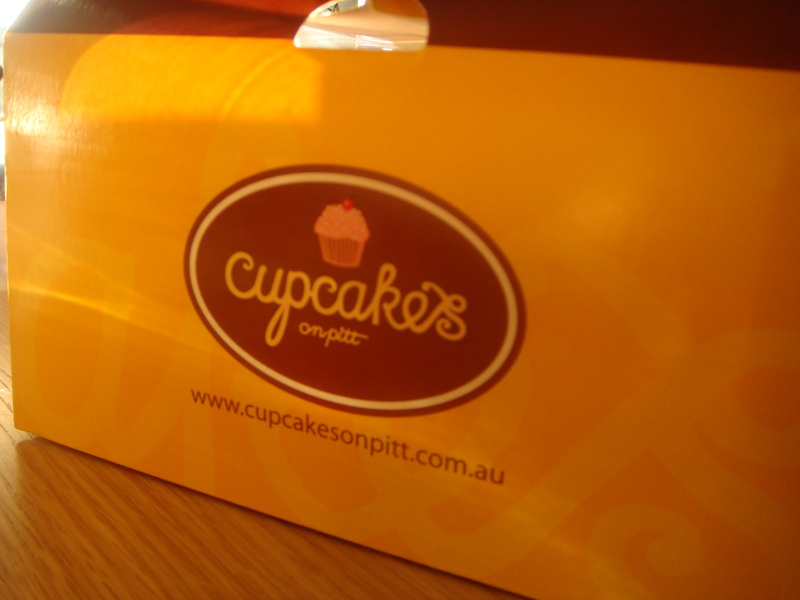 Though I don’t doubt its popularity as the two girls in front of us ordered over $200AUD worth of cake. I ended up with the following flavors: vanilla, lemon, meringue, butterscotch, cookies and cream and sticky date. I didn’t eat all of them myself, but I did especially enjoyed the novelty of the lemon meringue flavor. Though the cake itself was nothing special. In fact it was a bit dry. Oh how I miss Crumbs! 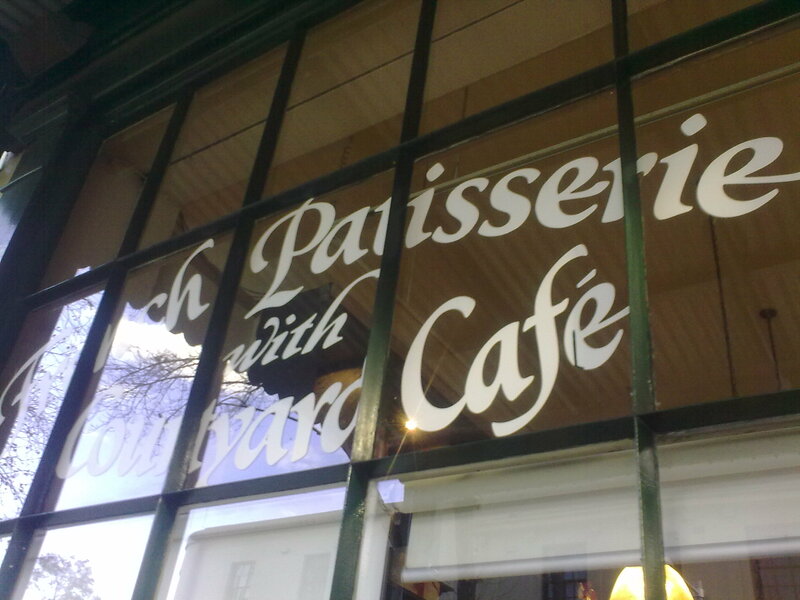 Wandering around the Rocks and curious about the huge line outside, I stopped by the Le Renaissance Patisserie on Argyle Street to have a look as well. Turns out it is a little shop of yummy French delicacies. 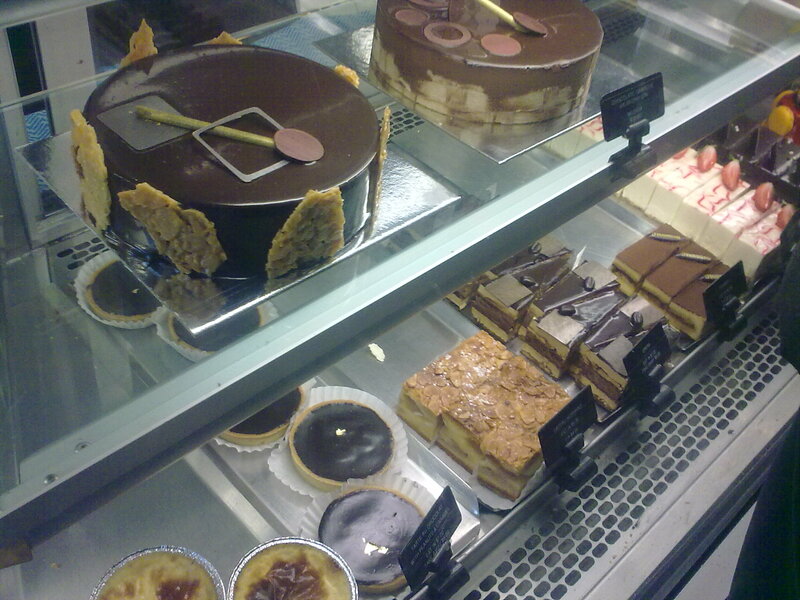 I left with 2 different chocolate creations, a mille feuille, a creme brulee, a lemon tart and a fruit tart. I definitely wouldn’t mind frequenting one of these if I have one nearby. I can try one choice each day of the week! 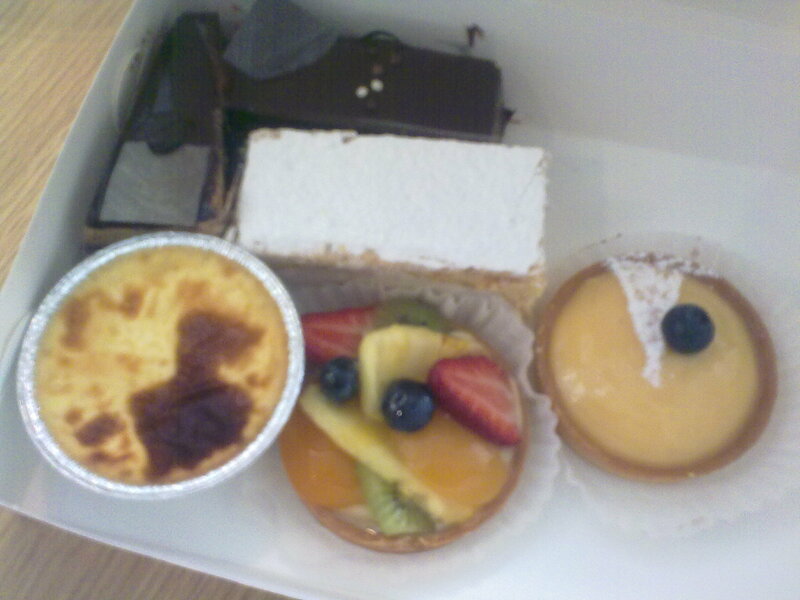 In the end, I only managed to try the mille feuille, which wasn’t too bad. Maybe a bit too sweet. But then, it is a hard to beat dessert for me. 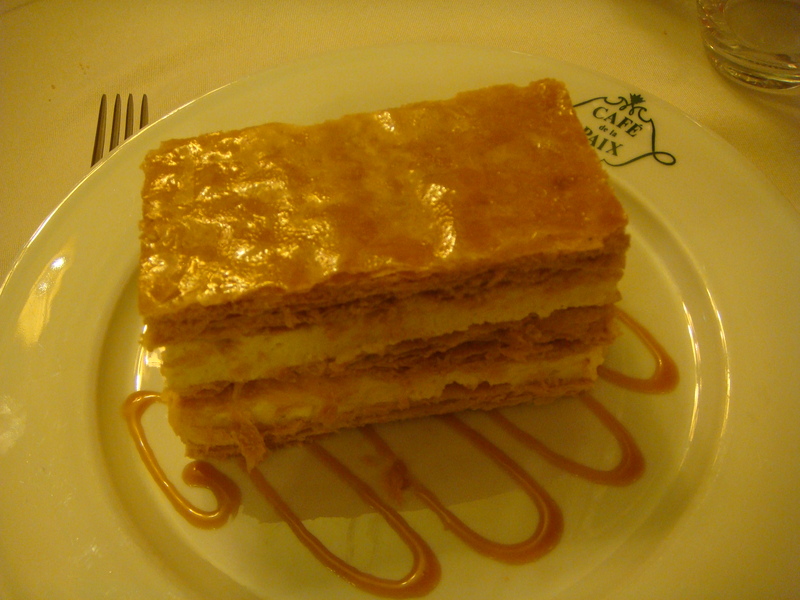 Ever since I fell in love with the mille feuille at the Cafe de la Paix in Paris last month, nothing quite compares. Clearly I’ve been caught with the travel bug this month because I’m in Sydney right now! Even though it is winter here, the weather has been pleasantly mild with sunshine and blue skies (fingers crossed this will continue on the week). I have actually lost count of the number of times I’ve been to Sydney, since I frequently came here as a teenager. Deprived of Abercrombie in Hong Kong, I used to think I was in shopping heaven and I’d happily whiz back and forth around Center Point stocking up. Dotti, General Pants and SDS were my favourites. But things have definitely changed since then. Now that I’ve met Abercrombie and made the acquaintance of a host of other international designers, it no longer seems that exciting to be whizzing around Center Point. In fact, Dotti at Center Point has disappeared (though my friend assures me that it still exists in a more sophisticated version of its former self. I just checked, their site still exists!). Come to think of it, a lot of Center Point has disappeared due to a (much needed imo) renovation. Now I feel a bit at loss for where to go! Maybe it’s time I did some more exploring of Sydney.